I think we all remember a particularly special dress or outfit. It may not be noteworthy to anyone else but for you it evokes feelings of warmth and tenderness. That outfit, for me, is a white A-line dress with red polka dots and a matching bolero jacket. It's doubtful it made an impression on anyone else but since my grandmother made it for me, it was always a favorite of mine. 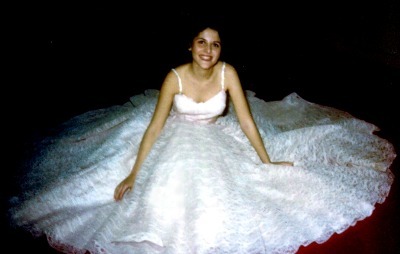 Please read and enjoy our Better Dresses Vintage friends's sweet account of her all time favorite dress entitled The Pink Dress. Now tell us about your favorite dress or outfit.